In this video I explained how to setup and configure the PowerBI.com Content Package for Microsoft Dynamics NAV 2016. 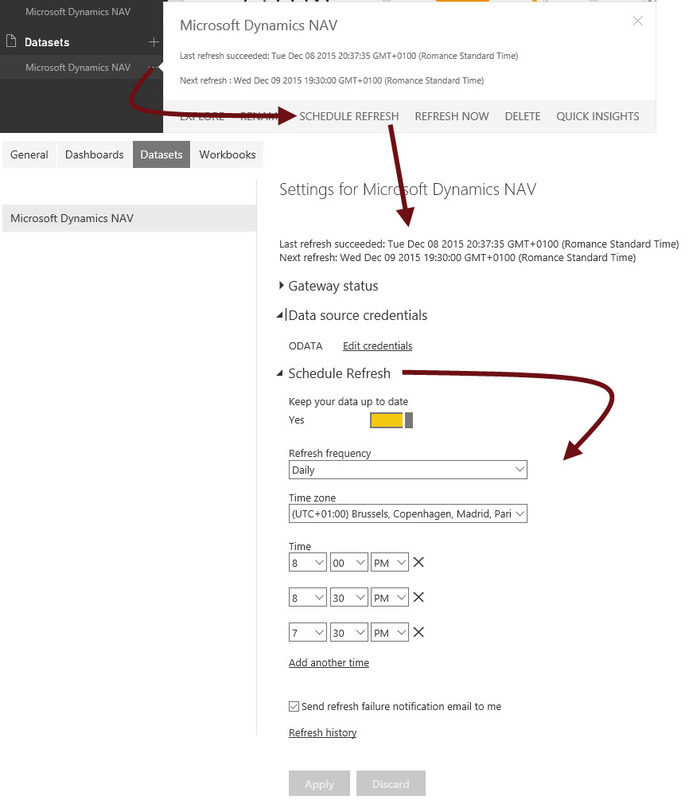 Since then I have received a lot of feedback and questions from the community on how to get it to work with a local NAV 2016 instance. This is also the URL that you will need to use to connect the Power BI content package to your NAV service. 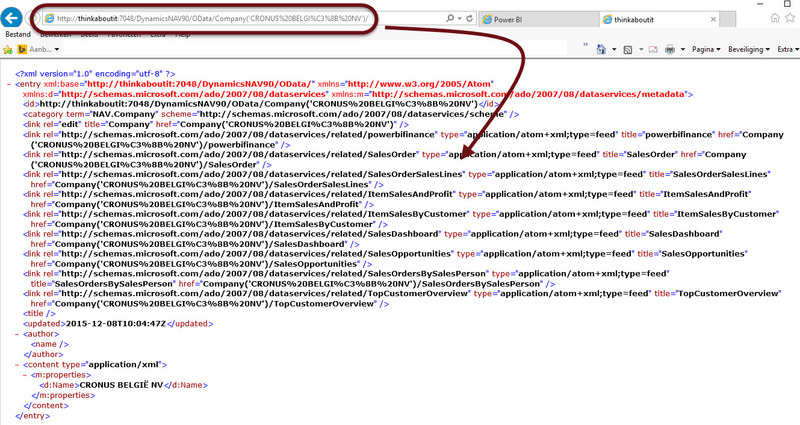 Now, when you then try to use this URL in the https://powerbi.microsoft.com website in the Dynamics NAV content package, with windows authentication, it will time out or give an error. To fix this problem you can download and install the Power BI Gateway. This is because the gateway also allows you to connect with an on premise Analysis Services instance (cubes). 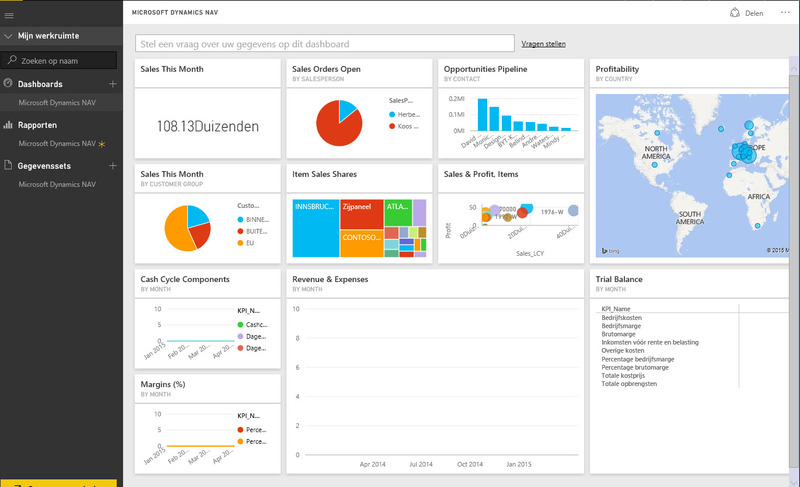 Ok, now that the Power BI Gateway is up and running you are ready to go. That’s how easy it is, awesome, no? I followed your instructions but can’t get PowerBI.com to work with NAV 2016. One thing that I don’t understand is how PowerBI.com can find the OData service on your laptop using your computer name. My understanding is the OData service must be published to internet using a domain name like “nav2016.domainname.com:7048”. Do I miss something? Thanks. Do you get an error message (see also in the eventlog), and do you have the gateway installed and running? I did not use a domain name and it worked. Credentials Required to connect to OData Source. I’m using Authentication Method = Windows and a valid domain login. Any ideas what I’m missing? It does not work now. Power BI does not have Power BI Gateway Enterprise on their website for download now. It changed to On-premises date gateway. I followed your instruction and use the Windows authentication, it says “Failed to update data source credentials:InstanceNotRegistered”. On Power BI website, they have the information, it must use Basic authentication and must use https for URL instead of http. I had the same problem and I managed to find the solution: replace SERVER NAME with its IP ADDRESS and it will work!